Have you noticed a little tinge of blood in the sink when rinsing after you brush? Do your gums bleed and hurt when you floss? Even if you aren’t experiencing pain, but are seeing red when you floss or brush, take notice. This can be an early symptom of gum disease. Brushing and flossing – not only regularly, but correctly – can help improve your overall dental health and reverse early stages of gum disease. Choose a soft-bristled toothbrush and fluoride toothpaste, brushing all of the tooth surfaces, including near the gumline for 2 minutes at least twice daily. Flossing should be done daily, gliding the floss up and down the tooth and under the gum line. Flossing aids and water flossers are good options for those with tight spaces or if you are having difficulty with hard-to-reach areas. A well-balanced diet that includes plenty of fruits and vegetables can help improve your oral health. Choosing whole, nutrient-packed foods over sugary candy, soda, and refined foods ensures not only that you are getting optimal nutrition, but also limits your exposure to sugars that feed inflammation-inducing bacteria. Smoking cigarettes can cause a whole host of health problems, one of which is gum disease. The toxins in tobacco smoke irritate your gums, inhibit proper circulation, and can affect nutrient absorption. While quitting smoking isn’t easy, your health is worth the effort. Stress can lead to inflammation and can reduce your immune function – a double hit when it comes to oral health. Stress can also lead you to skip self-care tasks like brushing and flossing and choose fast food over healthy options. Learn to say “no” to that extra project, take time for yourself, and learn some breathing techniques to help reduce stress. 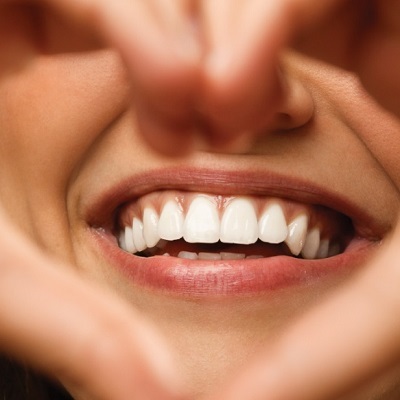 Of course, regular dental check-ups are essential to oral health. If it’s been a while since you’ve had a dental exam and you are seeing red when you brush and floss, be sure to make an appointment with Dr. Jackson today.